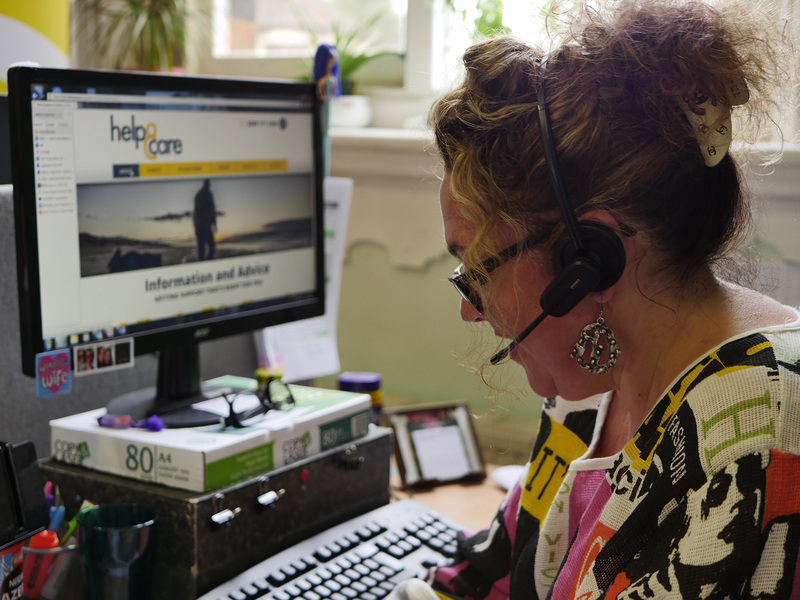 Much more than a call centre, our highly skilled Gateway team are trained listeners and they take the time to understand the difficulties faced by the caller before signposting or making a referral for more support, self-help or advocacy. They have a wealth of information at their fingertips and a practical approach to problem solving. Rob suffered an accident that left him profoundly deaf at the age of 37. At the time, he didn’t know sign language and he found himself struggling to carry out day-to-day activities that he used to do without trouble.Read more. Mrs J had been receiving support from Help & Care’s volunteers for more than year. When she decided to move to Weymouth, she was concerned that she wouldn’t be receiving support anymore.Read more. Roger had been caring for his wife for 10 years when she was diagnosed with dementia and had to go into a care home. The sudden lack of company and responsibilities made Roger feel lonely and depressed.Read more. Sue joined a care home as an agency worker. After some months in her new role, she realised that some residents were at risk. However, she didn’t know how to speak out, as she had been warned that if she complained she’d be fired.Read more. Jane was diagnosed with a rare, chronic genetic condition. After some unpleasant experiences with the healthcare services providers, she decided to seek advice in Help & Care to make a complaint.Read more.